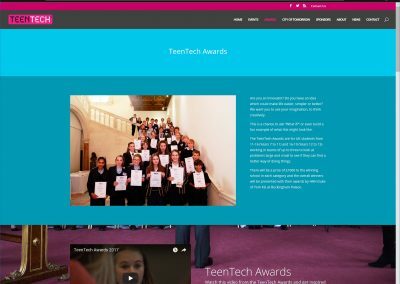 Chaos Created designed the new TeenTech web site. 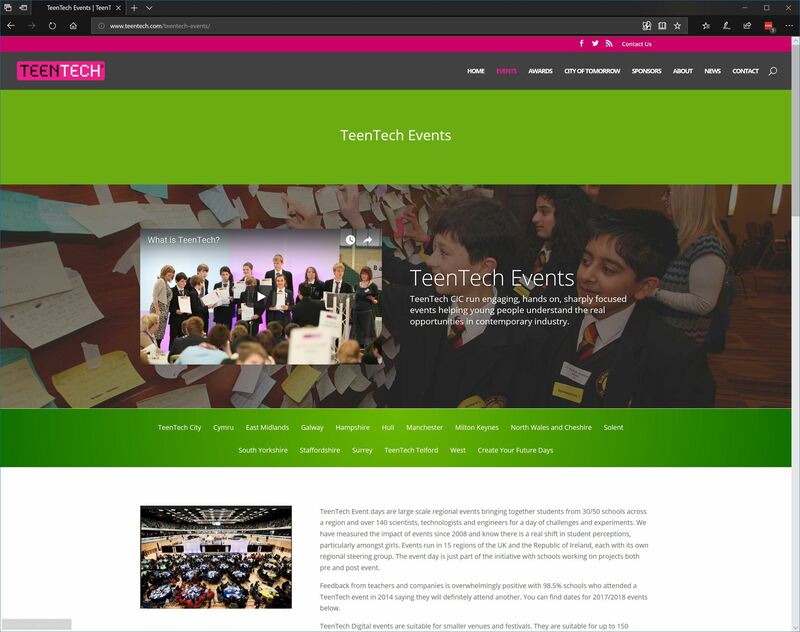 Our focus was creating a new site which was bright, bold, and creative – giving TeenTech a strong visual identity that can be carried across social media and resources. 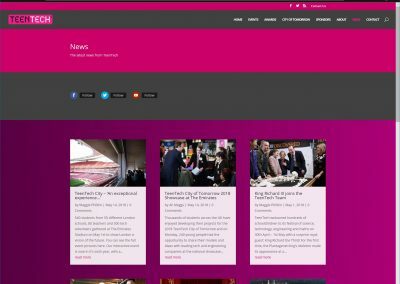 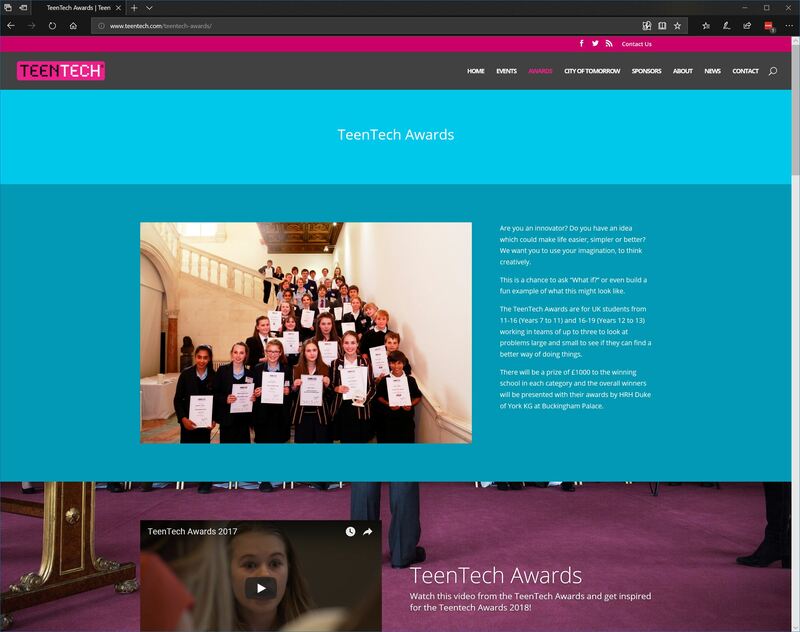 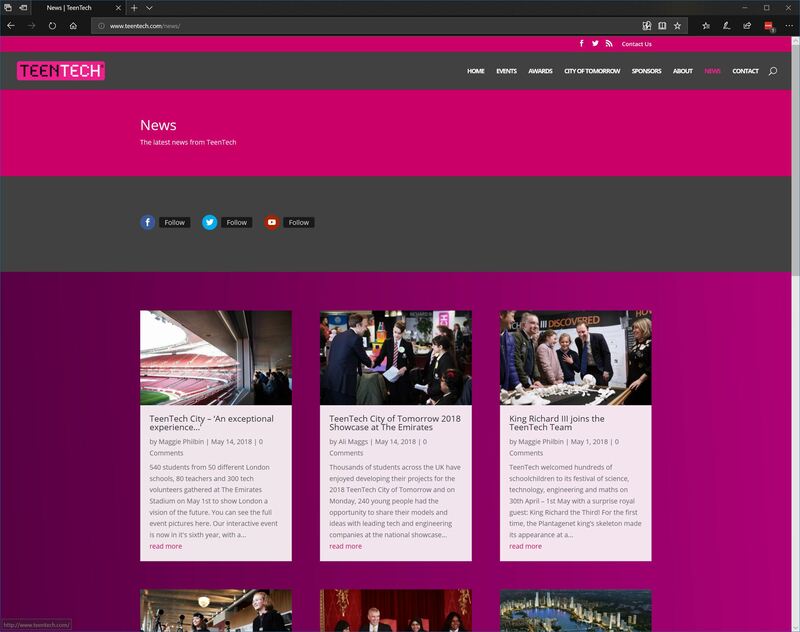 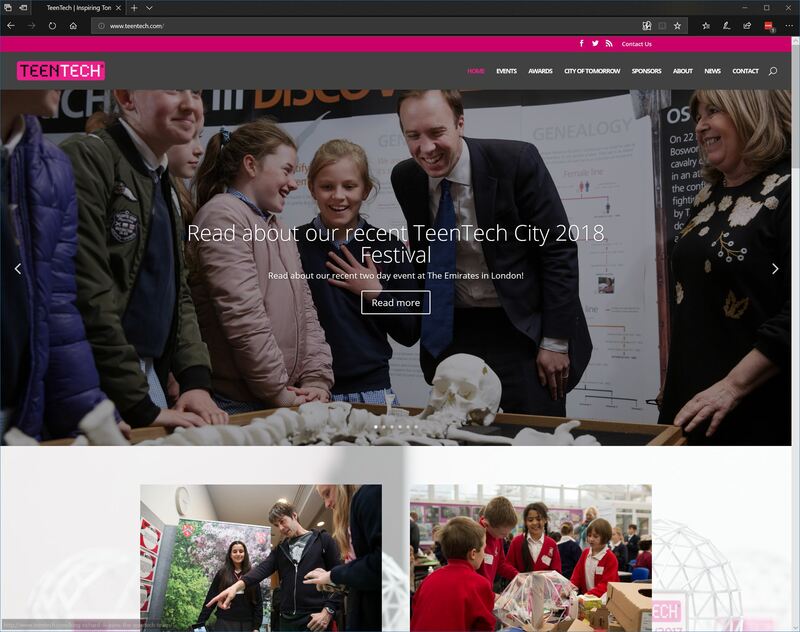 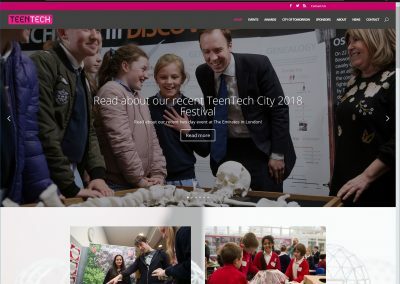 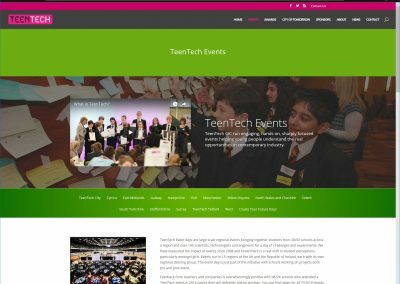 The site helps guide visitors to the key areas in which they focus – the TeenTech Events, the TeenTech Awards programme, and their powerful collaboration with their sponsors and partners.